PHOTO COURTESY FOX SEARCHLIGHT Robert Redford in "The Old Man & the Gun." In interviews prior to the film's release, actor Robert Redford has said that his performance in "The Old Man & the Gun" will be his final onscreen role. The film's inspired by the true story of bank robber Forrest Tucker who, starting at the age of 15, spent a lifetime in and out of prison, managing to escape to freedom nearly every time. Directed by David Lowery ("A Ghost Story," "Pete's Dragon") with a loose, freewheeling style, it's appropriately a story about a man who can't seem to stay away from doing what he loves. Tucker is a fascinating character: An outlaw who carries a gun but claims to never have used it. He's so friendly and courteous while holding up bank tellers that they can't help but describe him to police officers later on as "a gentleman." He's always charming and polite, with a smile that never leaves his face. And why shouldn't he be happy? He's having fun, clearly getting a kick out of his bank-robbing antics. Redford plays Tucker with his movie star charisma dialed up to 11, a twinkle in his eye and an impish grin; it's not hard to see why he's irresistible to everyone he encounters. When we meet up with Tucker, he's working with a crew, Theodore "Teddy" Green (Danny Glover) and John Waller (Tom Waits), two men who seem to get the same satisfaction from being outlaws that Tucker does. Together, they're quickly dubbed by the media as "The Over-the-Hill Gang," but even that seems to amuse them. Tucker's also started wooing a recent widow named Jewel (a luminous Sissy Spacek), and their courtship is a joy to watch unfold. She's (understandably) a bit skeptical of him, but is just as drawn to him as everyone else is. There's the barest hint of conflict to the film, as Tucker is pursued by detective John Hunt (Lowery regular Casey Affleck). He's dissatisfied with his career, turning 40 and cranky about it. That plot is almost beside the point, and along the way Hunt realizes that the chase is more fun than the actual catching. As a result, there's no real tension to this story, which I suppose might be a problem if that's at all what you're looking for. Instead Lowery gives the whole thing a genial, laid-back vibe. He lays on the 70's style in effective but unobtrusive ways, using lots of pans and zooms, and occasionally turning his camera away from the main action to notice small details or conversations happening nearby. There's a playful energy to the film, but with a slightly melancholy undercurrent derived from the feeling of growing older, and tying into Lowery's continued fascination with the passage of time. There's a wonderful sequence late in the film, in which Tucker lays out his 17 previous prison escapes. Incorporating footage from Redford's films, we're able to see him age from a boy, then a teen, and finally the man we recognize. 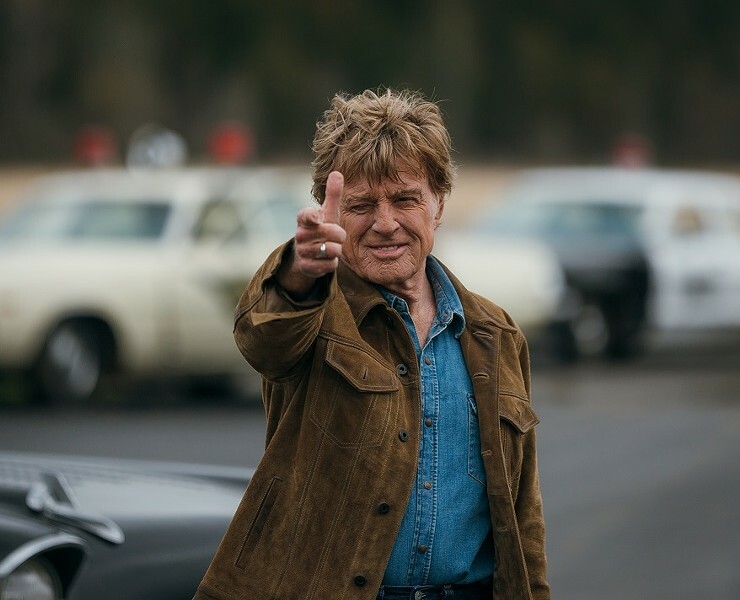 As a breezy crime caper, "The Old Man & the Gun" makes for satisfying entertainment, but as a tribute to Redford's legacy and his remarkable career, it becomes immensely moving. It's a charming fable about the simple joy of doing what makes you happy, knowing what you're good at, and sticking to it. If this does turn out to be Redford's final screen appearance, he's chosen well. We'll just have to see if it sticks. Movie Previews Film Film review "The Old Man & the Gun"